The announcements and deprecations described in this topic apply to Dynamics 365 Customer Engagement as of version 9. This article was first published on June 27, 2017. 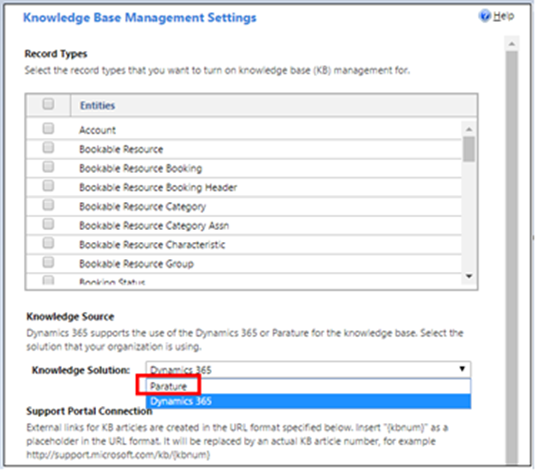 Administrators and IT professionals should use this information to prepare for future releases of Dynamics 365. Customer Engagement refers to the applications that make up the CRM portion of Dynamics 365, which includes the Sales, Customer Service, Field Service, and Project Service Automation applications. As of December 3, 2018, Microsoft Dynamics 365 for Blackberry App is deprecated and will be removed from the iOS App Store on October 31, 2019. The mobile app is currently available on the iOS App Store and is designed for Dynamics 365 customers that utilize Blackberry Mobile Application Management. See more details about the Dynamics 365 for Blackberry app here: Secure your mobile data with Microsoft Dynamics 365 for Good. After October 31, 2019, Microsoft Intune will be the only supported mobile application management solution for the Dynamics 365 for phones application. Microsoft will continue to provide security and other critical updates to the Dynamics 365 for Blackberry App until October 31, 2019, but will not release any additional features or functionalities within the app. After October 31, 2019, the Dynamics 365 for Blackberry App will be removed from the App Store, and support will end. If you are currently using the Dynamics 365 for Blackberry App together with Mobile Application Management for Blackberry, plan to migrate to Dynamics 365 for phones by October 31, 2019. We encourage you to migrate as soon as possible to take advantage of Microsoft’s ongoing investments in the reliability, performance, and functionality of the Dynamics 365 mobile app. Dynamics 365 App for Outlook, introduced with Dynamics CRM 2016 (version 8.0), is our most up-to-date offering for pairing Dynamics 365 with Microsoft Outlook. With Dynamics 365 App for Outlook, you can see contextual information from Dynamics 365 right inside your Outlook Inbox. With a single click, you can link an Outlook email message or appointment to a specific Dynamics 365 record. Dynamics 365 App for Outlook works together with server-side sync. As such, the legacy Outlook add-in—Dynamics 365 for Outlook—is deprecated with the Dynamics 365 for Customer Engagement apps version 9.0 and will be removed in a future major release. This deprecation includes Offline mode and synchronization in Dynamics 365 for Outlook. The existing service scheduling functionality is deprecated and will be removed in a future major release. The new scheduling experience, built atop Universal Resource Scheduling (URS), is now available on the Unified Interface. Existing service scheduling users will be provided advance notice for a timebound migration to the new scheduling capabilities. Although Xrm.Page is deprecated, parent.Xrm.Page will continue to work in case of HTML web resources embedded in forms as this is the only way to access the form context from the HTML web resource. Xrm.Page.data.entity.getDataXml No change in the method, but use "typename" instead of type for lookup attributes. Now: parent.Xrm. * will work if the HTML web resource is loaded in a form container. It won't work for HTML web resources that are stand alone, or referenced from the site map or any other places. The Silverlight (XAP) web resource is deprecated on the web client, and is not supported on the new Unified Interface introduced in the Dynamics 365 for Customer Engagement apps version 9.0. Instead of Silverlight web resources, you must use custom controls created using the HTML web resources with HTML5 to create UI components to visualize and interact with data.